Deciduous upright habit. 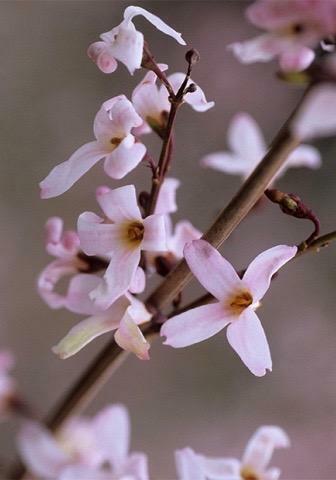 Smothered with small star shaped scented pale pink flowers, February to March. Sun and good drainage. Can be trained against a south facing wall. 1.5m tall.